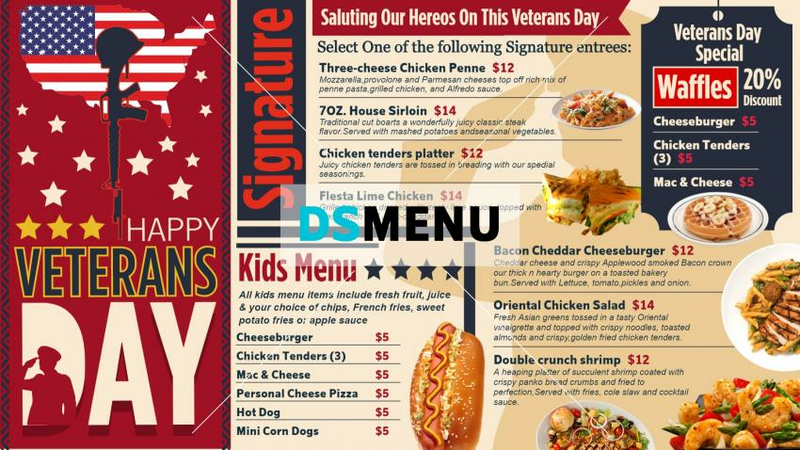 A very chic and sophisticated menu board presenting the right ambiance for the Veteran’s Day. The multi-colors compliment each other perfectly. The menu is equally exquisite with a wide spread including entrees , hot dogs, burgers, a kid’s menu, and a set of waffles at discounted prices. On a digital menuboard this template will be talk of the town and will surely entice the Veterans’ along with other customers.